Earn $20.99 in VIP credit. Click to Learn More. The V-Flow is John Cobb's original saddle. 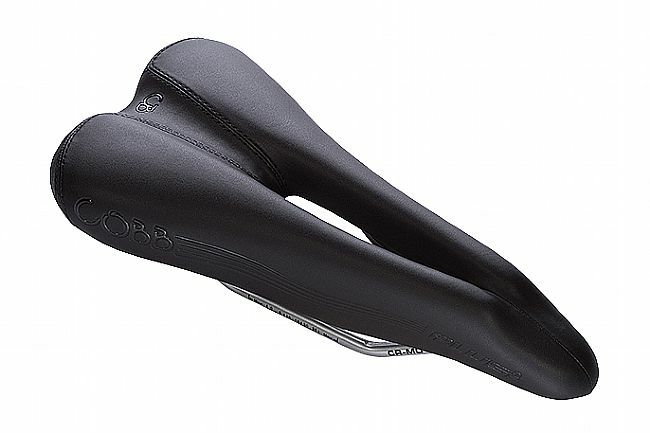 Coming equipped with a pressure relief channel and multi-density foam, this saddle will support you all day. The narrow rear section of the saddle and the narrow nose reduce hamstring fatigue and inner-leg chafing, while the molded inner seat shell cradles and comforts the rider through outtheir ride. Whether you're a roadie, a triathlete, or just out for a spin around the neighborhood, the V-Flow will keep you comfortable.